Let’s us get to know YOU! For AMP news and meeting schedule please visit our Facebook Page. 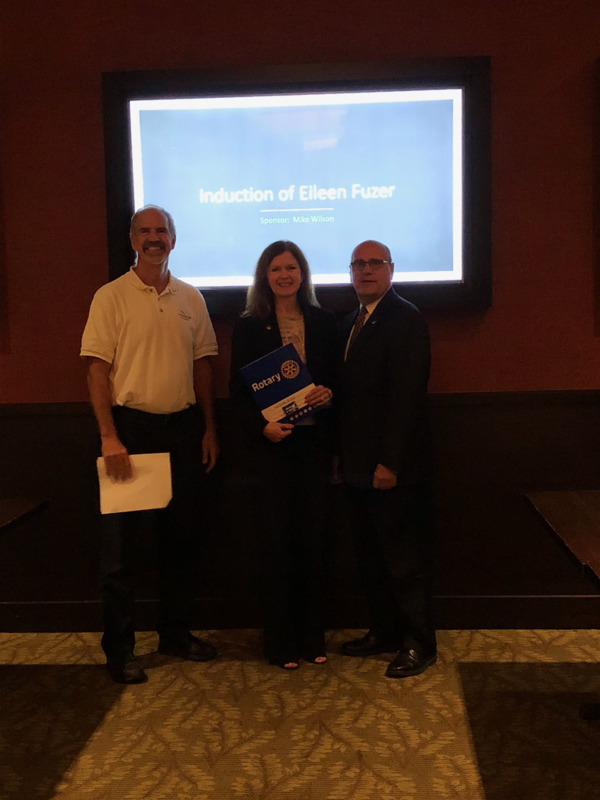 AMP is thrilled to announce the induction of Eileen Fuzer. Our newest member of AMP is the manager of the Wells Fargo Bank on Main Street. The ceremony took place at our meeting this past Tuesday evening. Pictured with her are Mike Wilson, President of Rotary Lunch Club (AMP is a branch of this club) and John Engleman a Breakfast Club Rotarian, who introduced the option of an Evening Rotary Group to Eileen. 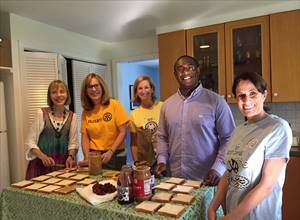 AMPers making P B & J sandwiches for The Unforgotten Haven. 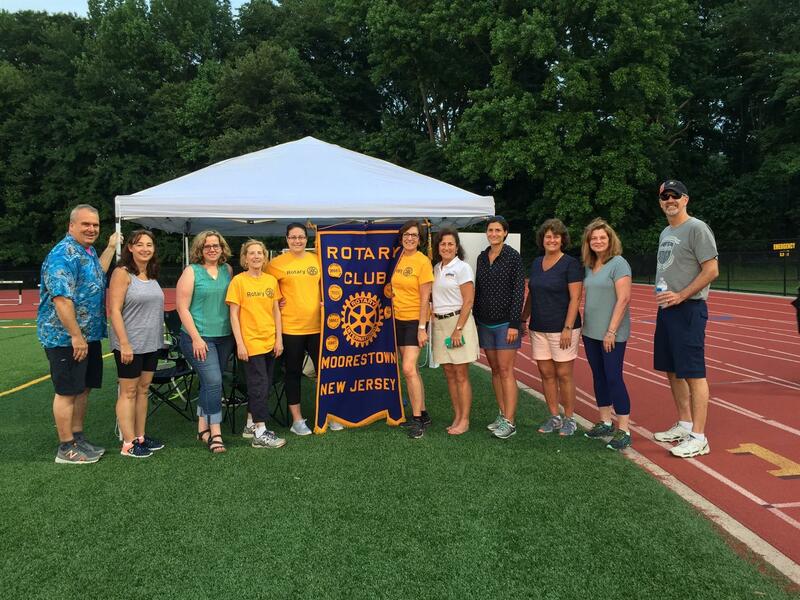 Below is a picture from the American Cancer Society’s Relay for Life at Moorestown High School. 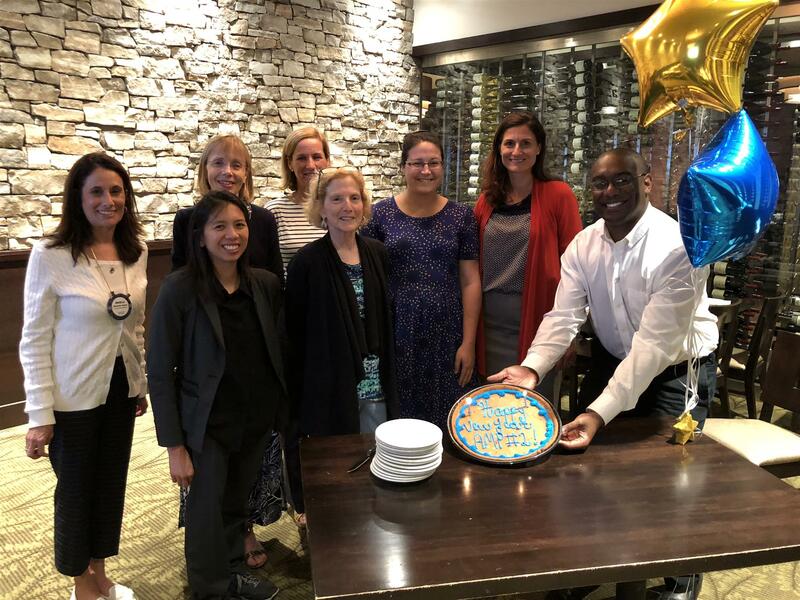 Below is a photo from June 5th meeting, showing AMP’ers celebrating the start of our second official Rotary Year as the AMP Rotary Evening Group. 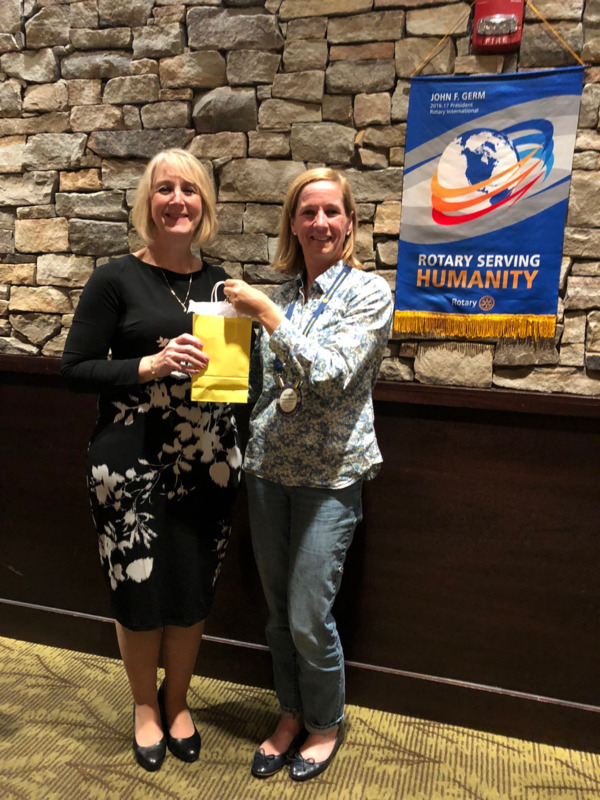 Congratulations to Patricia Noonan (at right) - she received her Blue Badge last night, signifying 6 months as a Rotarian. 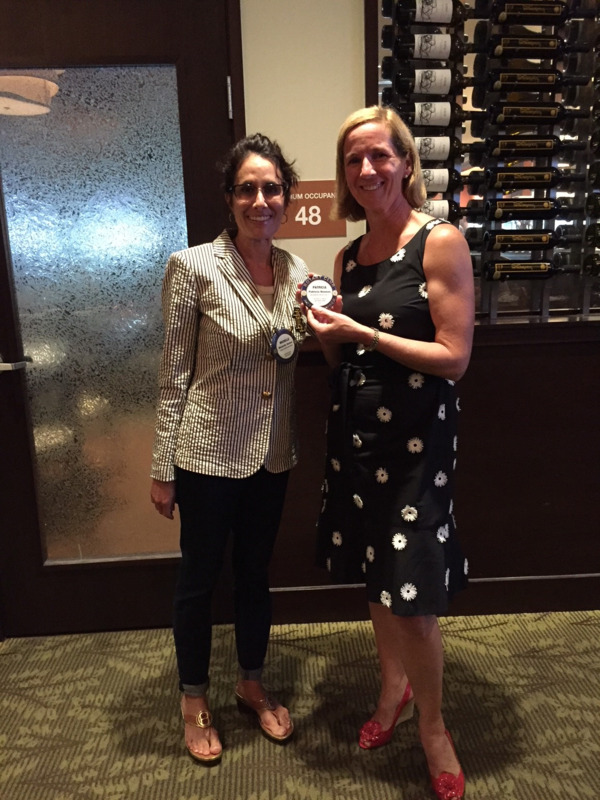 Many thanks go to her for stepping up as Administrator for our AMP Rotary Evening Group so early in her membership! She ran a great meeting last night! 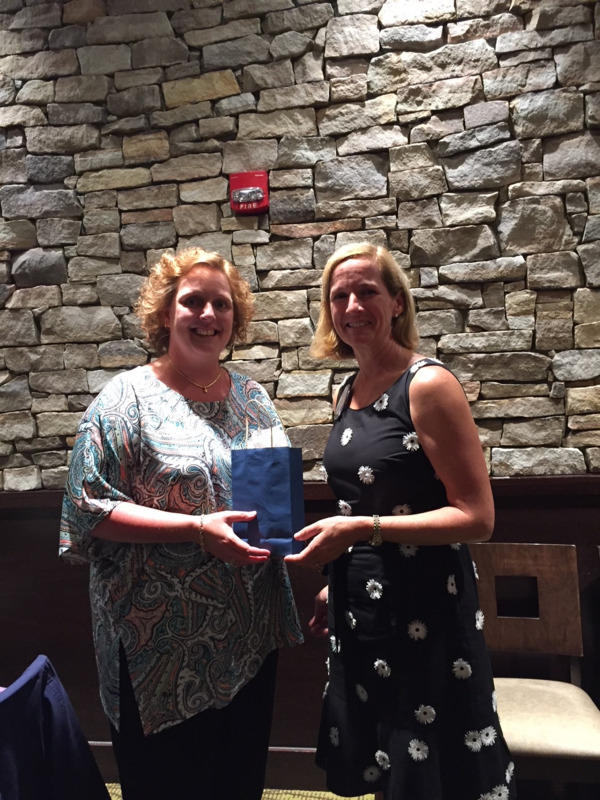 Presenting her with her blue badge is MIchelle Rohan (at left), AMP Membership Committee Chair. Many thanks to Nicola Hampton, Director of Administration at Hopeworks 'N Camden for speaking to us about this amazing organization that provides educational, mentoring and internship opportunities to highly motivated youths in Camden who are seeking a bright future as they pursue jobs in the tech industry. 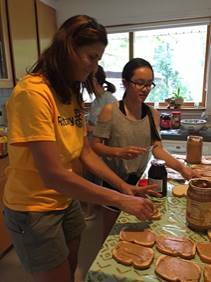 Find out more about ways you can get involved by either acting as a mentor, providing an internship or donating funds by visiting their Facebook page: hopeworksyouth. Gerald Tieyah, the Volunteer Service Manager from the South Jersey Food Bank spoke at our March 7 meeting. 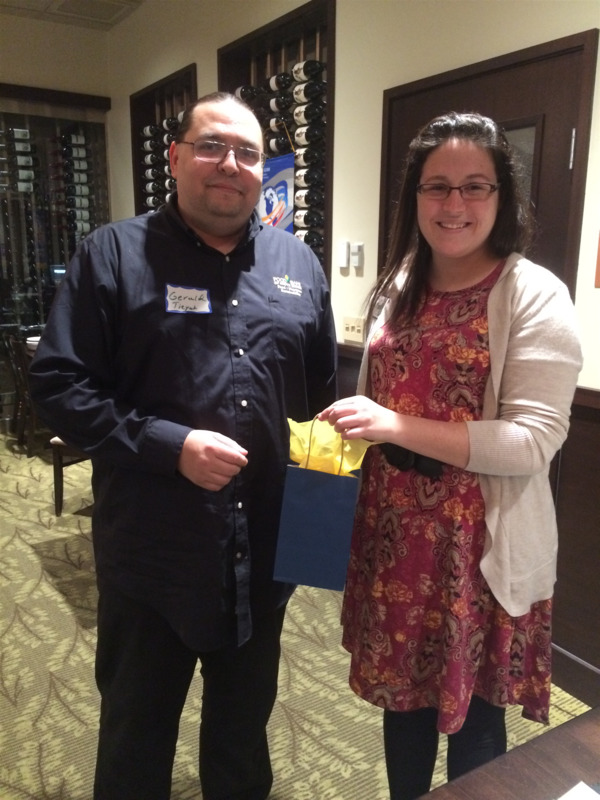 He is pictured here, receiving his thank you gift bag from AMP Co-Chair Maddie Webb. Making dog toys for shelter animals.